In Dubai, the classic, old style wooden furniture is still the most fashionable, when it comes to convenient living. If you visit Dubai homes, you will se ehow much locals love the rustic, dark wooden furniture which delivers a classic look for a living zone let it be a flat or a whole house. Wood also has several good qualities when it comes to living in Dubai, a naturally warm area. No wonder that the furniture of Atrium Furniture is so fashionable to buy here and that this business gets a high number of visitors every day. Atrium Furniture as said above deals with mainly wooden furniture, made out of teak, oak, cherry, pine and all sorts of woods that are the best for furniture making. 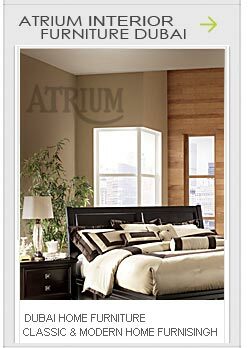 Atrium Furniture Co. was founded in Sharjah in 1985. Sharjah in the recent decades is slowly but surely growing out to be the furniture capital of the United Arab Emirates. The city, which is very close to Dubai, has dozens of quality furniture stores already and this number is growing every year. Thanks to their closeness, the majority of Dubai locals go to Sharjah to look for their new furniture. The city is especially famous for its great deal of antique furniture stores out of which Atrium is a very fine example. Luckily you don’t have to travel even this far to be able to check out the variety at Atrium Furniture: they have recently moved to Dubai in order to gain a larger clientele. •	Entertainment: includes beautiful antique style wardrobes specifically for the storage of either television or Hi-Fi sets. There are bigger variations and also smaller wardrobes with doors to close the cabinet. 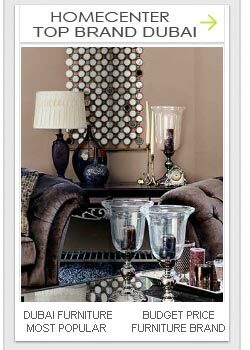 •	Accents and accessories: include the cabinets for holding books, statues and all sorts of accessories. You can see some beautiful antique style chests over here even in Baroque style although the Victorian classic is still among the most fashionable choices. The variation of antique furniture at Atrium Furniture is very big and colourful in different furniture styles and in different shades of wood. Of course needless to say, that the prices at Atrium Furniture are pretty high. This is because of the high quality of wood and the great designs of the furniture but mostly because the great reliability of their antique furniture. Find the store of Atrium Furniture at Karama, which is the furniture district of Dubai. The store of Atrium Furniture is located at Oud Metha Metro station, which means it’s easy to find without much walking. If you want to see and buy high quality antique furniture then its Atrium Furniture which you definitely have to visit.